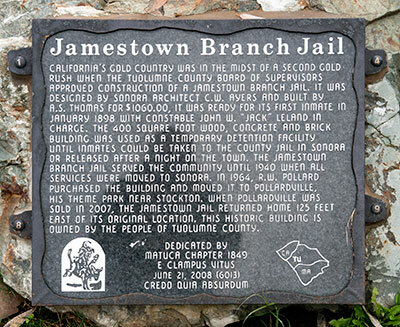 California's gold country was in the midst of a second gold rush when the Tuolumne County Board of Supervisors approved construction of a Jamestown Branch Jail. It was designed by Sonora architect C. W. Ayers and built by A. S. Thomas for $1060.00, it was ready for its first inmate in January 1898 with Constable John W. "Jack" Leland in charge. The 400 square foot wood, concrete and brick building was used as a temporary detention facility until inmates could be taken to the county jail in Sonora or released after a night on the town. 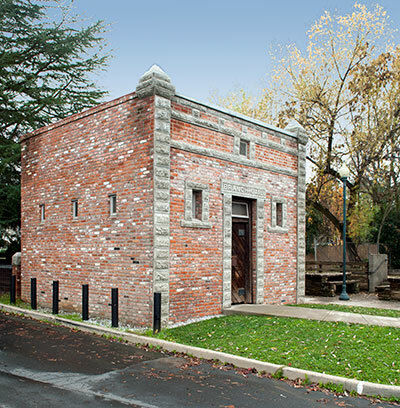 The Jamestown Branch Jail served the community until 1940 when all services were moved to Sonora. In 1964, R. W. Pollard purchased the building and moved it to Pollardville, his theme park near Stockton. When Pollardville was sold in 2007, the Jamestown Jail returned home 125 feet east of its original location. 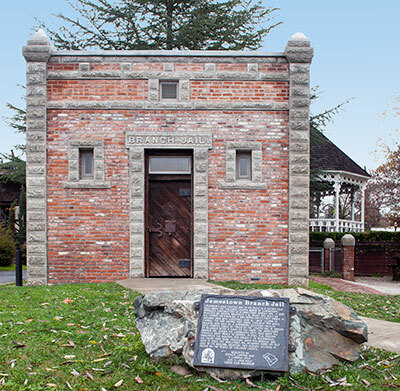 This historic building is owned by the people of Tuolumne County.